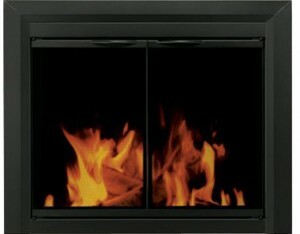 Pleasant Hearth Fireplace Doors are offered in stunning styles, from the slick all black finishes to the classic or vintage look. You will find the perfect fireplace door for your home here. The fireplace has always been a true symbol of comfort and warmth for the modern family to as far back as history can even reveal. 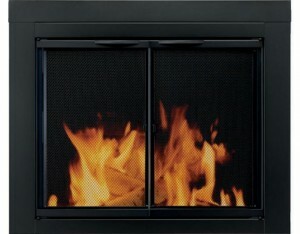 Fireplaces have always kept us toasty and safe from the harsh cold that the winter serves up to us every year. In this day in age, we have placed a considerable focus on the visual aspects of the fireplace and what elements it can add to our homes in regards to interior design and aesthetics. 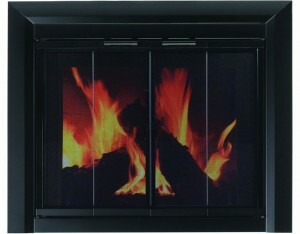 Pleasant Hearth fireplace doors add beauty that could easily become the showcase of your living space. In addition, Pleasant Hearth Fireplace Doors dramatically improve your efficiency by literally up to 90%. Meaning, during summer time keeping the hot air out, while in the cooler months keeping the warm air in your home. 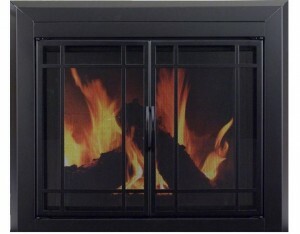 Glass Door Fireplaces are a Great Choice for Safety ReasonsPleasant Hearth Fireplace Doors utilize a functional, yet decorative mesh panels, to increases your families safety. 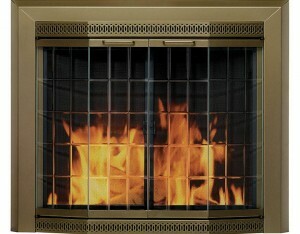 Stray sparks could melt the carpet within its proximity or even considerably damage the tile flooring that is nearby. The mesh panel doors effectively lower the chances of sparks flying out and causing detrimental harm to whatever is in its path. 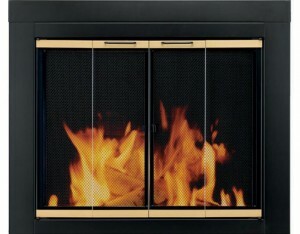 These classy fireplace doors are super easy to install because they come fully assembled and when you see the result, you will know for sure that you made the best choice. 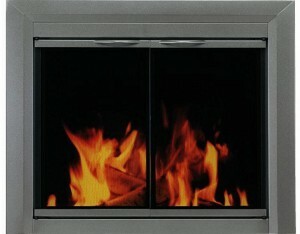 It isn’t all about the visual appeal though, Everytime glass fireplace doors are sealed shut, they can enhance the heat output by triple what it usually does. 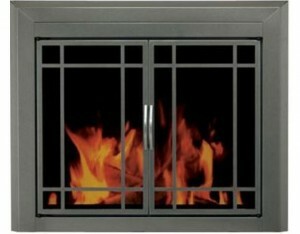 Glass fireplace doors raise the overall efficiency of the fireplace by functioning as a boundary between your chimney and your home. 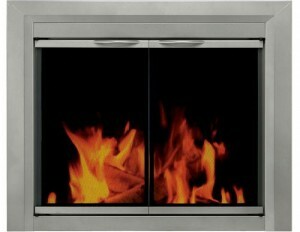 Without a fireplace door, it creates the same effect as when a window is open, letting the warm air escape. 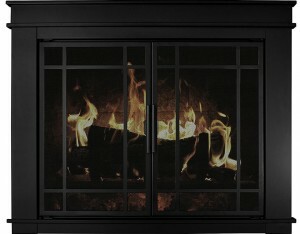 Having a Pleasant Hearth Fireplace Door allows you to keep the warm air inside during those cold winter days. While on the other hand if you open up the fireplace doors during the summer is an excellent source of cool air, which drifts into your home. 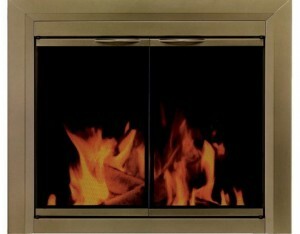 Pleasant Hearth fireplace doors were the beautiful creation of the GHP group (The Glacier Bay), a company that has given consumers some of the finest gas grills, firepits, glass door, hearth-style and electric fireplaces and several other expertly crafted and amazingly efficient household heating appliances. There is a reason why they have been leaders of the industry for over 100 years and still going strong. The fireplace has always been a true symbol of comfort and warmth for the modern family to as far back as history can even reveal. 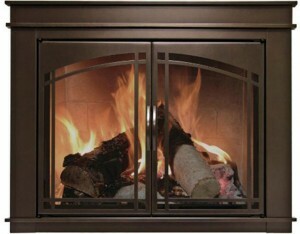 Fireplaces have always kept us toasty and safe from the harsh cold that the winter serves up to us every year. In this day in age, we have placed a considerable focus on the visual aspects of the fireplace and what elements it can add to our homes in regards to interior design and aesthetics. 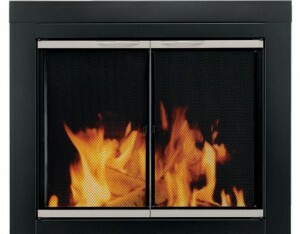 That is why Pleasant Hearth fireplace doors are the type of furnace that will create the added beauty that could quickly become the showcase of your living space. They add a genuine sense of style that was created to optimize the classic masonry fireplace hearth but it also dramatically benefits by it efficiency towards compressing the heat or by the decrease in cool air via the chimney, literally up to 90%.